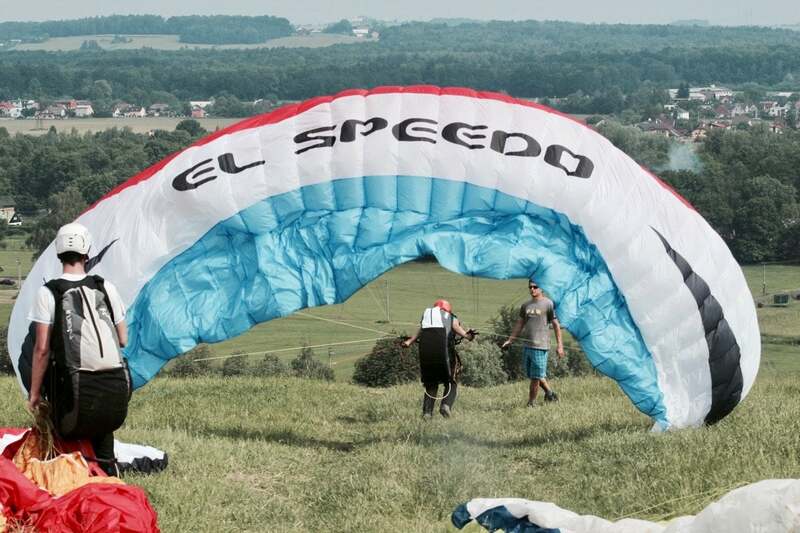 During the elementary paragliding course you will experience unforgettable days within enthusiastic group of people. Join us, it worth it. WHAT DOES THE ELEMENTARY COURSE FOR 9490 CZK MEANS? Right after paying of the deposit, you will get access to your one-year account STUDENT on e-learning part of our website where you can find section with online preparation before the course. It is up to you if you want to get the book in advance to your home adress or you want to get it on the first day of the course. You will make this decision while making an application. Intensive training with our instructors is fun. Every day we get ready before the flight tasks, we fly and lead you to individual, independent flying. The training exercises, possible failures and fine execution of a task is recorded in real time into our smart-phone application. This data is uploaded to your personal account so you have it any time you need it. We are on our starting sites every flyable day. We will tune your radio to our frequency and therefore our instructors will take care for you during your start and landing.